Sammi's Blog of Life: Sample Saturday with SheFinds and Tarte! Sample Saturday with SheFinds and Tarte! Calling all makeup lovers! I have an exciting opportunity for you today. How would you like the chance to win some free makeup from Tarte? Everyone loves free, right? Well, listen up! Tarte & Shefinds is giving away 100 makeup prize packs featuring a cheek stain in the color of your choice, along with 1 lights, camera, lashes, 4 in one mascara. You'll be runway ready in no time thanks to Tarte! 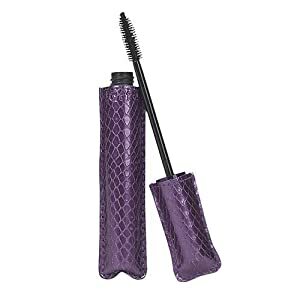 A 4-in-1 Mascara: A lenghtening, curling, volumizing, and conditioning mascara infused with olive esters to condition, treat, and protect lashes. stain gives you a gorgeous, natural flush in a gel or cream consistency. Rounded top cheek stains are gel based stains,while flat top cheek stains are the cream based version. These products would be great additions to your makeup case. What are you waiting for? Go ahead and enter here. Don't forget to follow SheFinds on Facebook & https://twitter.com/shefindshttps://twitter.com/shefinds, and Tarte on Facebook and Twitter too! *DISCLOSURE* I received monetary compensation in exchange for this post. All thoughts are my own.